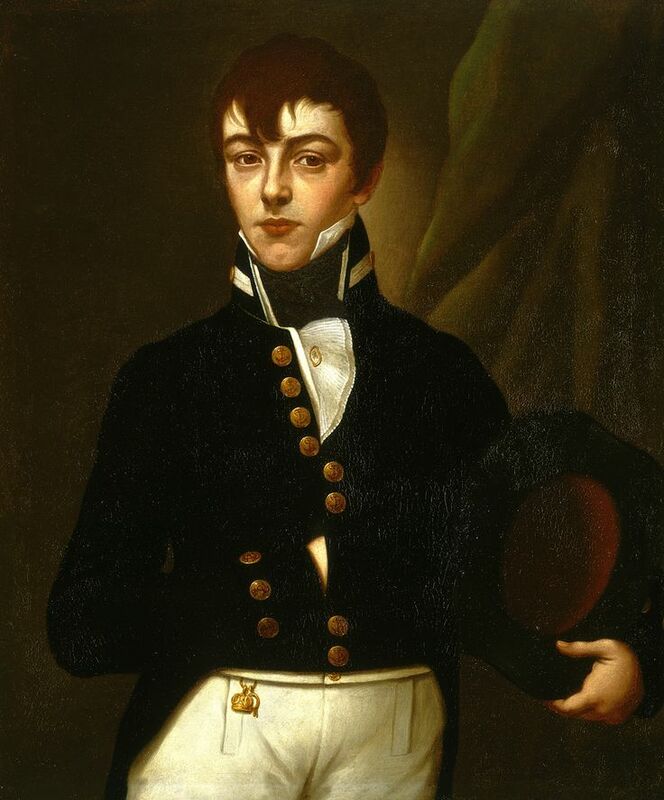 Midshipman Robert Deans (1790-1867), painted in 1807. My 9-year-old son expressed interest in coming to the Jane Austen Festival with me next year, so I have been contemplating what sort of costume to make for him. I really liked the “navy look” so after a bit of research I decided on a midshipman uniform. It was that of a skinny young man only just leaving boyhood behind, something above middle height, with feet whose adolescent proportions to his size were accentuated by the thinness of his legs and his big half-boots. His gawkiness called attention to his hands and elbows. The newcomer was dressed in a badly fitting uniform which was soaked right through by the spray; a skinny neck stuck out of the high stock, and above the neck was a white bony face. 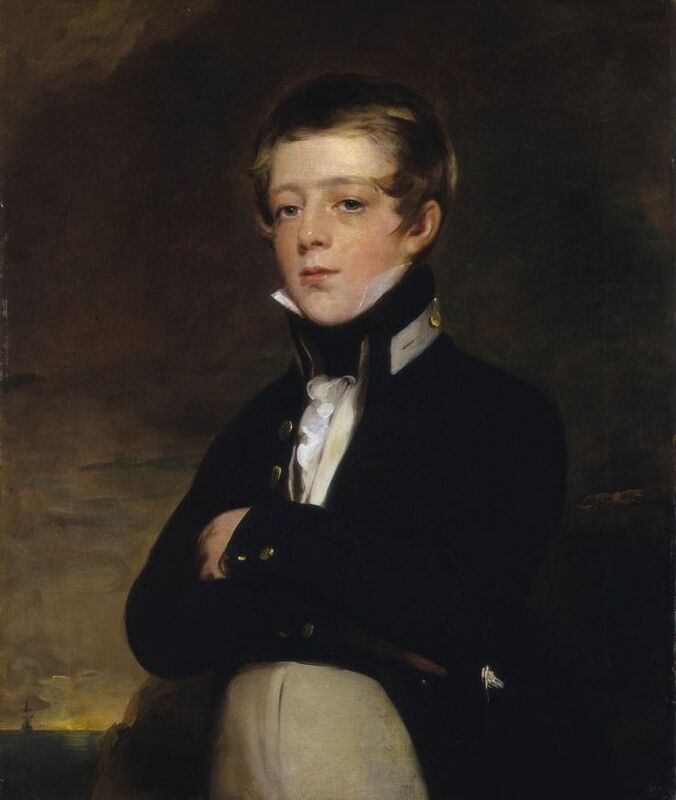 Midshipman John Russell (1810-1869), painted in 1824. I have struggled to find a pattern specifically for a midshipman uniform, though there are some available for captain and lieutenant ones, so I decided I would draft something myself. I was comforted when I read somewhere that all navy uniforms did differ slightly, even though there were “regulations” set down by the naval code. So I decided to turn to depictions of midshipman in paintings and drawings of the period. 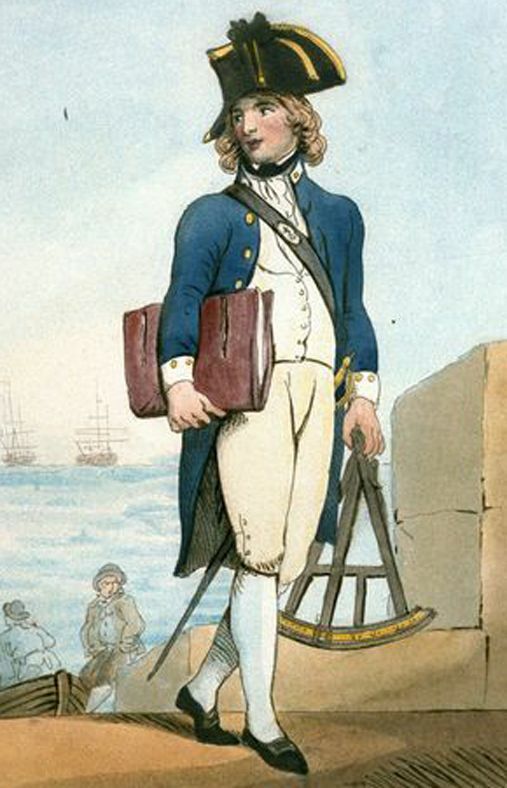 A “proper” uniform for the navy was first introduced in 1748, but then the regulations were changed in 1774. More changes occurred in 1787, 1795, and 1812. Since this Mr. Midshipman will be in a Regency style, I was most interested in those depictions from 1795-1812. Luckily the midshipmen uniform had not altered much (in terms of depictions of rank) over this time, as the coat still retained one row of gold buttons down the front, three buttons on the cuffs and pockets, and a white patch with button on the collar. What did change more perceptibly was the cut of the coat, particularly as the cut-away style gained more popularity in fashionable circles. 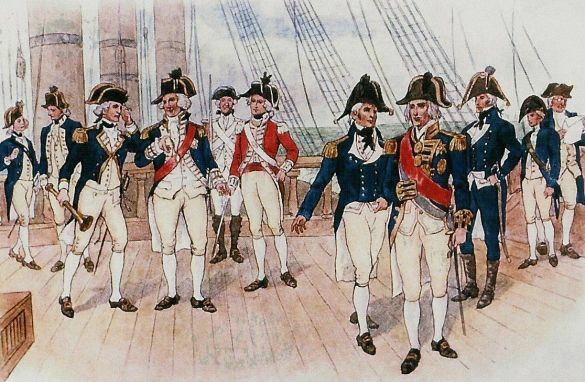 The uniforms of the British Royal Navy. To the left are those from 1787-1795, and to the right are those from 1795-1812. 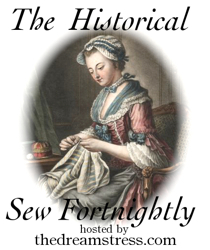 I decided that Norah Waugh’s 1790 pattern for a coat and waistcoat (in The Cut of Men’s Clothes) would provide some useful guidance as to cutting for this time period. From the pictures shown, I began to glean some of the necessary, or at least common, items of dress for a midshipman. Shirt: the normal sort of white 18th century shirt that was worn as an undergarment for every male during this time. Stock: a black cravat or stock was the common sign of a military man. Breeches: made from white wool with a fall front and gold buttons, with more gold buttons and buckles to fit tightly under the knee. During the Regency trousers were becoming more common in naval “undress” wear. Waistcoat: made from white wool, with gold buttons, pockets at the front and a stand-up collar. Coat: in a Regency cutaway style, with pockets (each with 3 gold naval buttons) and cuffs (each with 3 gold naval buttons) and with a single row of gold naval buttons down the front. In addition, a midshipman could be easily distinguished by the white patch and button on his stand-up collar. 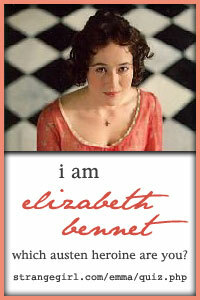 Hat: a bicorn for “full dress” or a tub sort of hat for “undress”. Stockings: white, reaching to above the knee. Shoes: the normal 18th century sort, black with a buckle, are seen in many drawings. Boots seem to be mentioned sometimes too. This is my first attempt at making a naval costume, so I am learning as I go. Stay tuned for my up-and-coming post on a midshipman’s shirt and stock. Great post Kelly, I am really going to look forward to following this sewing journey.